Donald M. Sutton, Sr., age 65, of Edon, Ohio, died at 5:25 P.M. on Tuesday, September 11, 2018, at Ebid Hospice in Sylvania, Ohio, after an extended illness. 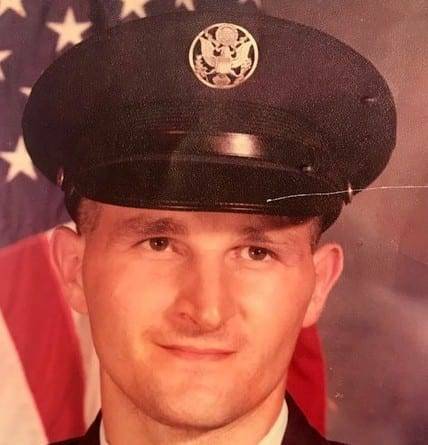 Mr. Sutton was 1972 graduate of Edon High School and served sixteen years in the United States Air Force. His last employment was as an electrician with Plastech in Bryan, Ohio. He enjoyed painting and metal detecting and loved to fish. Donald M. Sutton, Sr. was born on August 28, 1953, in Angola, Indiana, the son of Jack D. and Nola Ruth (Miller) Sutton. Survivors include his mother, Nola Sutton, of Edon; his siblings, Mary L. (Bill) Bickel, of Choctaw, Oklahoma, Duane A. Sutton, of Edon, Larry D. (Peggy) Sutton, of Shortsville, New York, Ellen Kaye (Byron) Beck, of Auburn, Indiana, and Michael L. Sutton, of Edon; and two sons, Donald Jr. and John Sutton of Bryan. He was preceded in death by his father, Jack, in 2016. Grave side services will be held on Sunday, September 19, 2018, at 2:00 P.M. in Columbia Cemetery, Columbia, Ohio, with Pastor David LaDuke officiating. Grave side military rights will be conducted by Edon American Legion Post #662 and the United States Air Force Honor Guard. In lieu of flowers, memorials are requested to the Kidney Foundation. To sign the online register or to send condolences, please visit www.krillfuneralservice.com. Be the first to comment on "Donald Sutton (1953-2018)"